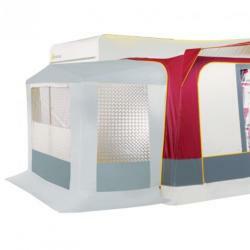 The Carnival windbreaks are quick and easy to set up to give you protection from the wind and provide extra privacy. 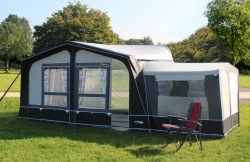 The new canopy Walker Solair 4 in 1 is a very ingenious canopy. 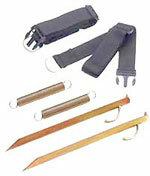 Included: 2 steel uprights, pegs, guy ropes and coupling + channel for fastening to either side of the awning. Size: 240 cm wide and 200 cm deep. Breathable awning carpet, allows grass to breathe but keeps out bugs and dirt. Supplied with re-usable zipped bag. If ordered without an awning and the order is less than £100, £5 p&p will be added for MOST UK mainland postcodes. A pole tensioner takes the strain - and guesswork - out of getting your awning fabric correctly tensioned. The Awning Companion works in a completely different way from the Hercules pole tensioner - it clamps directly to the inner AND outer poles. 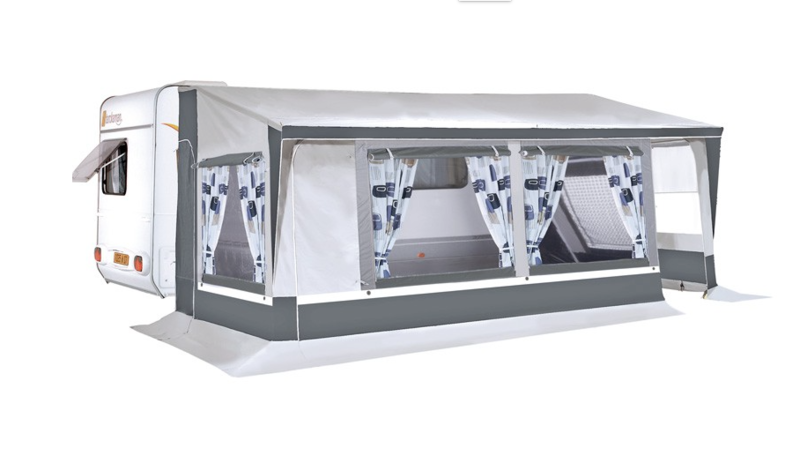 The Awning Companion takes the hard work and frustration out of putting up your awning. Great product if you have strength or mobility problems with your hands - just let the Awnings Companion take the strain! Heavy duty Deluxe Breathable awning carpet, allows grass to breathe but keeps out bugs and dirt. Washable and rot-proof. Fully eyeletted and hemmed. Supplied with re-usable zipped bag. If ordered without an annex, £5 will be added for p&p to MOST UK mainland postcodes. They are produced to extremely high standards and are designed to be very hard-wearing. 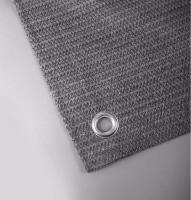 Jolax carpet is supplied in widths of 250, 280, 300 and 350 cm. Heavy duty Deluxe Breathable awning carpet, allows grass to breathe but keeps out bugs and dirt. The quality of the material ensures that the carpet will not lose its shape and always lies neatly. Yet another great idea from to help prevent rain staying on the awning roof! This simple but effective system totally eliminates any sagging of the roof material, no more collapsing roofs or large pools of water gathering, which left unattended can cause serious problems. Using this Roof Raiser system gives you total peace of mind during extreme weather conditions.